Washington musicians revive the songs of the past while creating a language that is uniquely their own. From Appalachia to medieval France. Russian to Ladino. Mighty Squirrel, a Washington-based acoustic quartet, makes music that brings together cultures that would have never met and fuses languages that would never intermingle. “Mighty Squirrel’s music doesn’t fit any categorization,” says Greg Spatz, who plays bouzouki, fiddle and octave mandolin in the band. “Which, to my thinking, makes it a pure folk music in the sense that it borrows from other traditions. We take something that’s been around for hundreds of years and then we make it our own.”%u2028%u2028 Half the time, the band plays original material, but the rest of the time they play traditional music, essentially creating a genre for themselves (though they shy away from saying it) that fuses long-gone places and faraway times. It’s “world time” music, as they say, and it’s unlike most anything else out there. Some of the traditional songs from their album Sqworld (a record that held a top-50 spot on national roots charts last year), like “El Rey de Francia” and “Voici la Saint Jean,” are ethereal and would feel at home among the bonfires and dirt-floor huts of a Renaissance faire. Others, like the band’s version of the old English love song “Mary Ann,” would fit comfortably on a Top 40 country chart. “Tango Tenebre” is a song you could imagine hearing on the dance floor in a smoky Parisian bar. The band’s ability to capture all of those sounds is either appealing or terribly confusing. “People aren’t exactly sure what they’re listening to because it’s so unfamiliar to them. And trying to capture a whole audience with something they’ve never heard before sometimes leaves people blown away and other people really puzzled,” Spatz says. “We’ve had some really positive reactions to the music and other people are, like, ‘Huh?’” Mighty Squirrel started at a band camp for grownups. 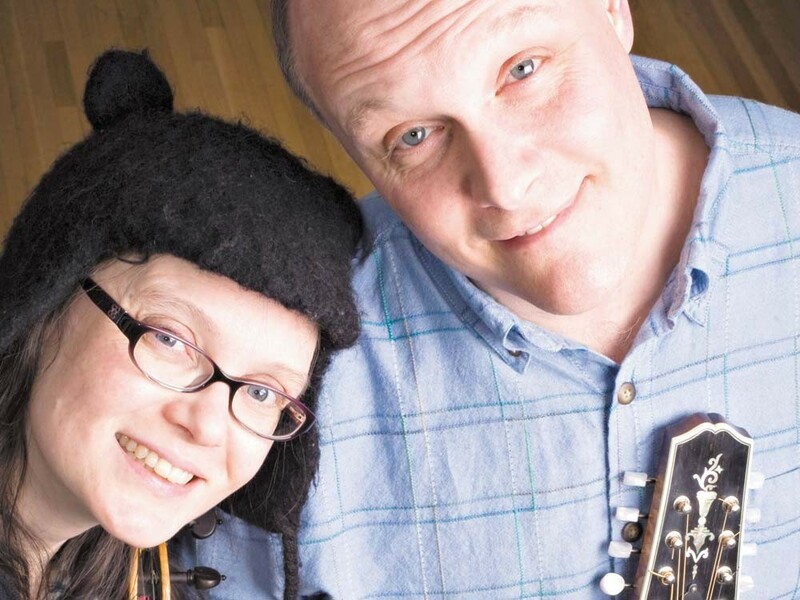 Spatz and his wife, Caridwen Irvine Spatz, met the other half of their future band, David Keenan and Ivan Rosenberg, at a British Columbia Bluegrass Workshop. After two evening jam sessions and one impromptu concert in 2007, the Squirrel was born. The band recently shifted its sound even more with the addition of accordion player Nova Karina Devonie (who recently replaced Rosenberg). Together the group represents a veteran ensemble of Pacific Northwest musicians skilled in their respective genres of traditional bluegrass, swing, medieval French, and classical music. Caridwen’s haunting vocal repertoire brings these songs to life — occasionally singing in archaic languages. “Whether or not the audience understands the language is secondary to the emotions conveyed by each song,” she says. “These songs have a life of their own and as a singer I just visit it for awhile ... Even the meaning of a song is sometimes transferred better if you don’t understand the words. “I’ve always thought that music is the pure language of emotions, and physics is the pure language of the measurable and the concrete. Spoken word blends both spheres,” she adds. And Mighty Squirrel’s ability to transcend time and recreate long-forgotten songs is so beautifully and flawlessly done, you don’t need to understand the words. You just need to feel the music.